Happy & Healthy 2016 to you all. Waited a long time for this one, LS420. 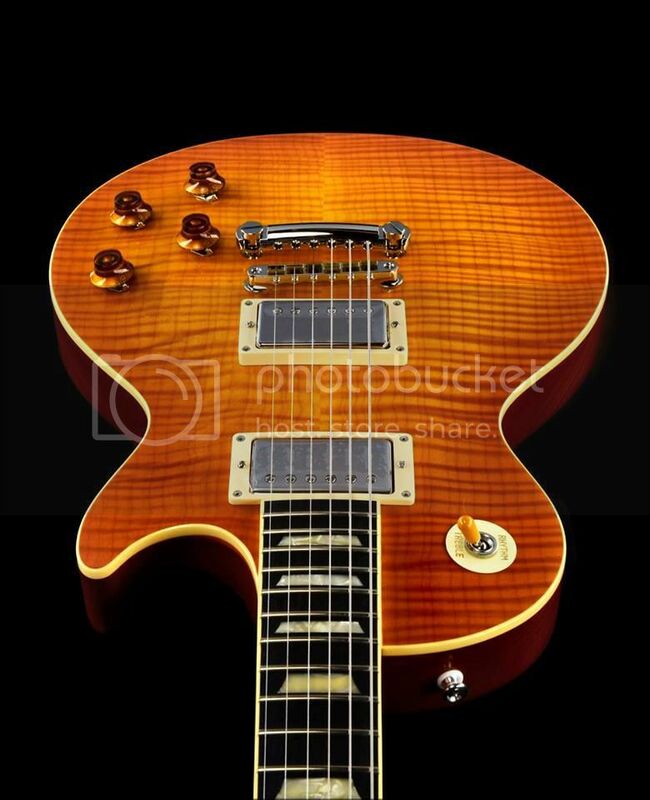 4A flame top (although it looks like a 6A). Fantastic! And a happy new year to you too. 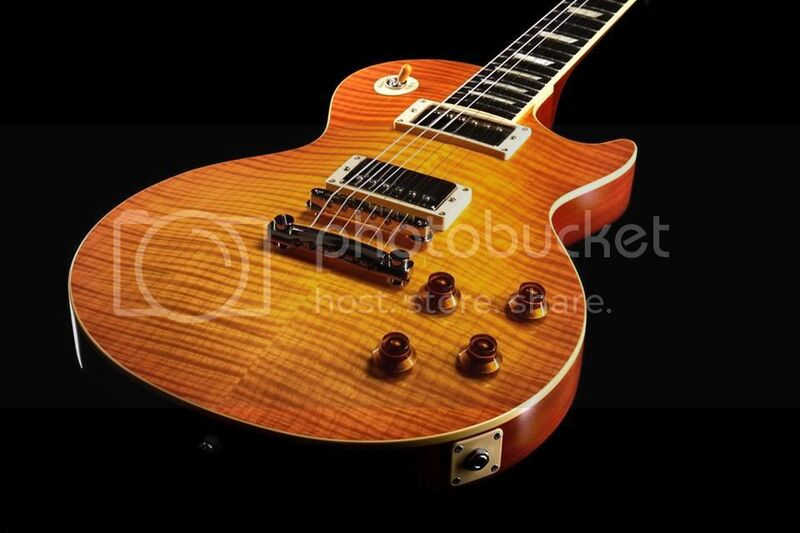 Haven't seen an ebony fretboard on an LS model since the turn of the millennium. Awesome! The Reborn Old model - I thought those with that name were made for Germany? No? 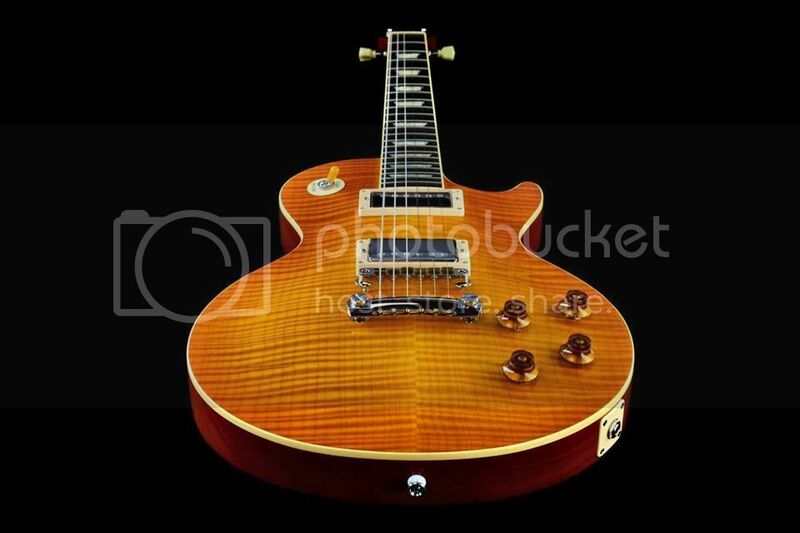 That is a truly fantastic guitar you ordered Lance, I do like ti a lot! 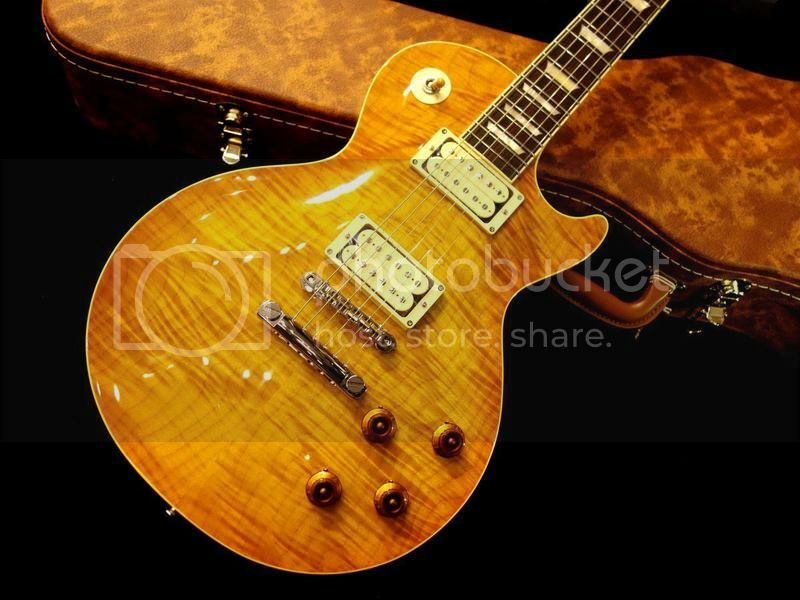 A highly flamed bookmateched top like that is not so common in Tokai. looks amazing diamond, what pickups? Unfortunately it wasn't for me, it was for a customer. 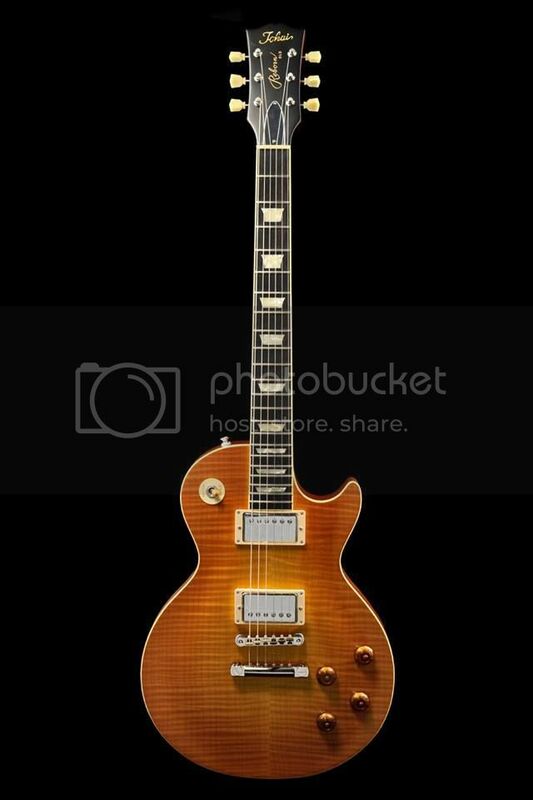 It came stock with Seymour Duncan SH55 "Seth Lover" pickups. I played it for a few minutes as did my guitar tech, then I packed it up and shipped it out. I must say, the SG (slight gloss) nitro finish is amazing, cost a little extra but well worth it. 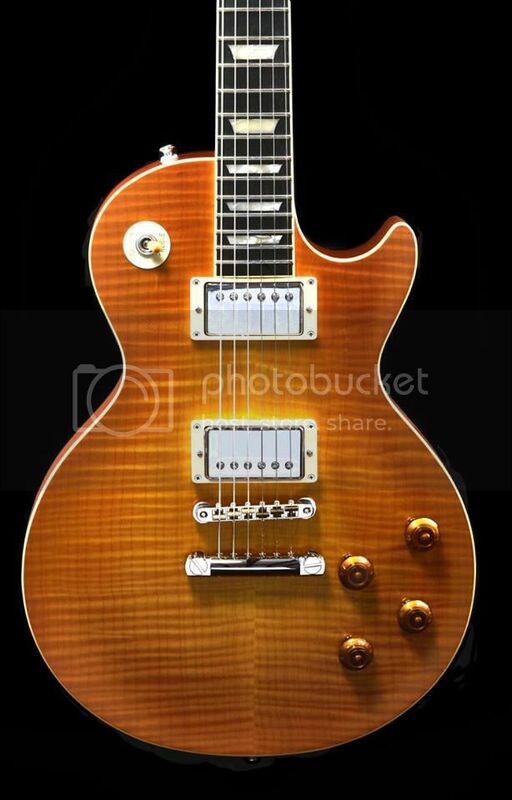 PM if you want to know what I charge for a guitar like this. 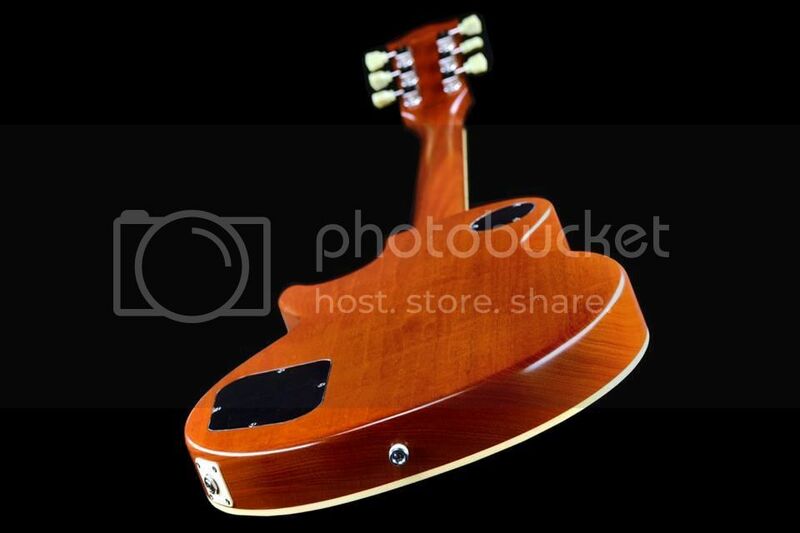 Thanks to the weak euro and german taxes no chance to order from you Anyway a dream of a guitar ! Yes, I think Tokai Germany has been using the Reborn Old logo for a few years now. I've been using it since 2013. Is it used for the Japanese market? I don't think i'll be giving up mine ... but that one is a stunner !!!! 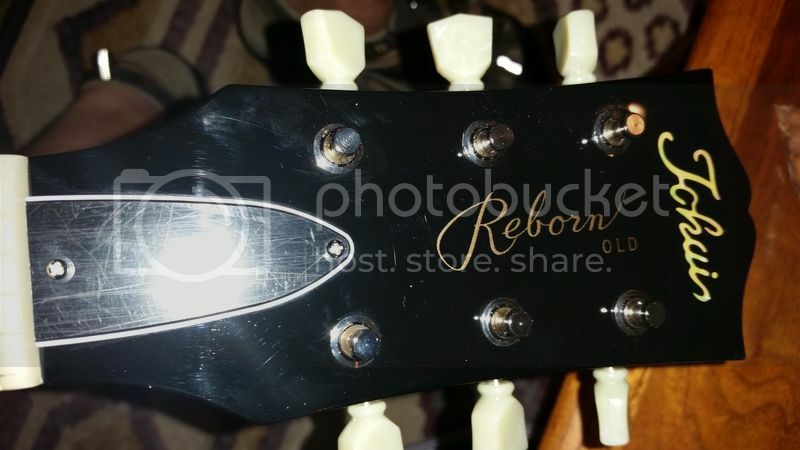 If a Japanese dealer orders LS guitars and requests the "Reborn Old" logo then they'll get it. Reborn Old is not exclusive to any country, any dealer/distributor can request it be used on their orders. Personally I prefer the Reborn logo to Love Rock. I've even thought about using the Custom decal instead of Love Rock or Reborn Old...I think that would also look killer. I know of one dealer in Japan (Hirano Gakki Rockin) that commissioned runs in 2014 and 2015 of Tokai's with the Reborn Old logo. The specs aren't quite as high as Diamond's, but pretty high nonetheless (1 piece lightweight mahogany back, solid maple cap (plaine and flame), lacquer finish). I bought one from them last year and had it shipped to the US. It is incredible top to bottom. They still have a few up on their site. Some of the older ones have been reduced significantly.